The DEEDS BELC Programme in 15 Special schools for Deaf. & 2 Centres for Adults Mumbai. 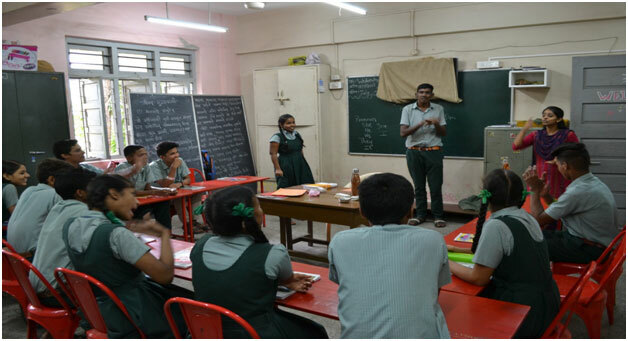 DEEDS provides access in English literacy to Deaf with centers in 15 Special Schools for Deaf and two centers for adults in Mumbai. This program is aimed at giving the Deaf a future opportunity for gainful employment and thereby to become self-reliant and independent citizens of India. HOW YOU CAN HELP THE DEEDS BELC INITIATIVE? You can sponsor the education of one student at the BELC at any of the centers and improve his/her chances of procuring a good job. All you have to do is sign a cheque right now.